It would appear that Singaporean courts permit the use of ‘own name’ defense by corporations in trademark infringement suits. Kenya’s Permanent Presidential Music Commission (PPMC) has released a draft of its proposed National Music Bill and is calling for comments.IP Kenya has some preliminary comments. IP texts from Africa are far and in between. As such, new publication are always welcome. However, IP Kenya does not seem impressed by a new book – Intellectual Property Law in East Africa by Prof. Bakibinga and Dr. Kakungulu. What say you? What do you know about copyright and maps? What happens when Patentology meets the Productivity Commission on the Patenting of Computer-Implemented Inventions in Australia? The latest edition of WIPO Magazine. ARIPO has published a survey on the status of Collective Management Organizations in its Member States. As a lawyer, it is important to keep your clients informed of matters relating to their brief. Failure to do so may amount to ‘unsatisfactory conduct/unsatisfactory professional conduct’ as held in this Australian case. World Trademark Review provides a round-up of reactions to Brexit by industry professionals. … as does World Intellectual Property Review here and here. Finally, if any of our readers is confused about Brexit, here is Brexit explained to non-brits because of course, Brits know what Brexit is about anyway. I am still confused by this complaint sent to IP Factor. The more I read it, the more perplexed I am. Some lawyers ordered lunch to their office for themselves and the client, and invoiced the client. I am almost certain that will never happen in Nigeria. You certainly don’t want your clients thinking you’re miserly. This is courtesy the Lady’s father – Citigroup Inc (C.N) has sued AT&T Inc (T.N) for the use of “thanks” and “AT&T thanks” in a new customer loyalty program which infringes the former’s trademark rights to the phrase “thankyou”. *sigh* More on that here and here anyway. Is there a thin line between ‘trademark enforcement’ and ‘trademark bullying’? Find out here. If the allegation of sampling levelled against Justin Beiber and producer, Skrillex (as well as the other songwriters of ‘Sorry’) by Indie artist, Casey Dienel (aka White Hinterland) were instituted in Australia, here is what the Courts will consider. The song by Dienel is ‘Ring the Bell’. 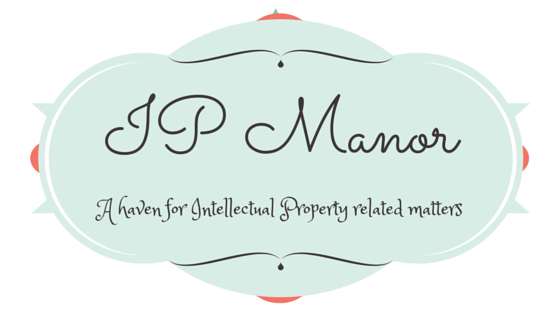 On patent marking in Australia and its effectiveness. I absolutely enjoyed reading this post on Cannibalism, Branding and Market Segmentation. This cracked me up – a case of mistaken identity on a live interview about Trademarks. If limericks are your thing, IPKat is inviting submissions. IP themed of course. The deadline for submissions is June 23, 2016 – the same day as the UK vote on whether to leave the EU, to help you remember. On personality rights and protection of image rights in Uganda. The QMJIP team have been extra busy – New Trademark Defenses System, #canitrademarkmyhashtag? and Easter rabbits: a fairy tale on communication right make my top reads. Catch up on other new blog posts here. The latest edition of the QMJIP Journal is also out. The QMJIP team also do a good job of curating IP events around the world. This is for the month of May, 2016. Here are five things you should know about the Defend Trade Secrets Act that was signed signed into law by President Obama on May 11, 2016. Here are 10 things you should know about India’s National Intellectual Property Rights Policy. Did you know that under Italian law, the principle of stare decisis (binding precedent) does not exist? Well, that’s by the way in this analysis of a recent judgment by the Tribunale di Roma (Rome Court of First Instance) that rightholders are not obliged to indicate URLs when submitting takedown request. We believe our esteemed guests know better than relying on Wikipedia. Right? This is what happened when a company tried to register ‘My Cloud’ in Israel relying on the personal pronoun ‘my’ for distinctiveness. If you have been following the developments at the European Patent Office, this update is for you. If you have not, well…go on…read it. Angela Daly‘s book Socio-Legal Aspects of the 3D Printing Revolution, will be published by Palgrave Macmillan in June 2016. In the meantime, she has this to say about 3D printing. What has IP got to do with Economics? Here is some insight. Ifeoluwa Olubiyi, a Phd Research Fellow at the University of Ilorin, Nigeria, needs some input in respect of how collective management organisations are run in your jurisdiction. For how you can help, see here.